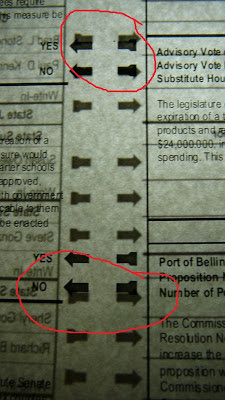 Bellingham Politics and Economics: How to mark your ballot so a Sequoia Optech 400C Voting Machine understands your intent!! How to mark your ballot so a Sequoia Optech 400C Voting Machine understands your intent!! This issue, which I wrote about at length in 2010, is the electronic equivalent of "the hanging chad". I still maintain that front and reverse sides of a ballot should never overlap voting choice arrows such that an errant or too heavy press for a voter choice on one side could possibly be read as a separate choice for the flip side. 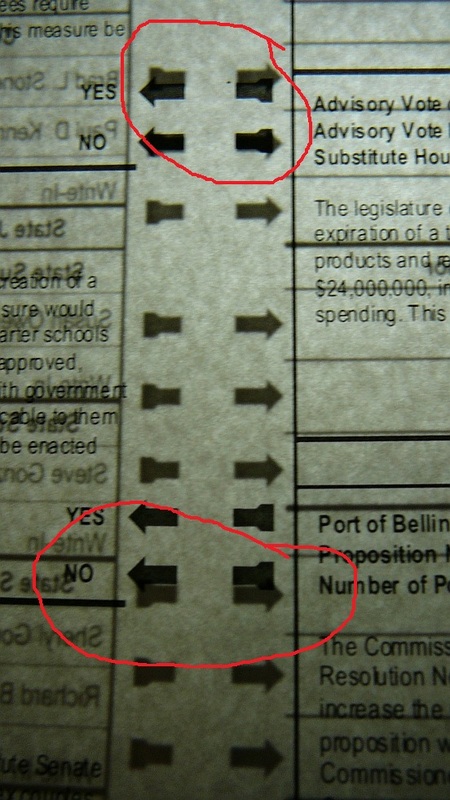 You can see in detail below how closely aligned this ballot practice makes the voter choice on one side with the arrows on the flip side. In my case, they are the choice for governor aligned with Initiative 1185. 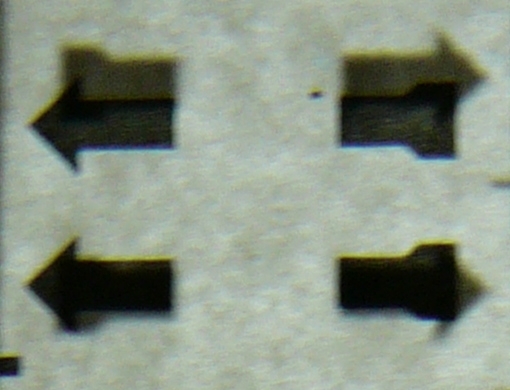 In theory, a Sequoia 400C Voting Machine , should be able to distinguish marks on one side from the other: provided you use a ball point pen, press just hard enough, and send a single line between the middle of the arrows. I'm sure the auditor's election office will accuse of creating hysteria. But listen, my advice is mark that ballot carefully. Maybe with a ruler. And don't spill any food, blood, or nail polish on it. It will invalidate your ballot, the Sequoia Optech 400c will spit it out, and then it goes to a committee where they attempt to infer your 'intent'. Make your intent clear from the start.